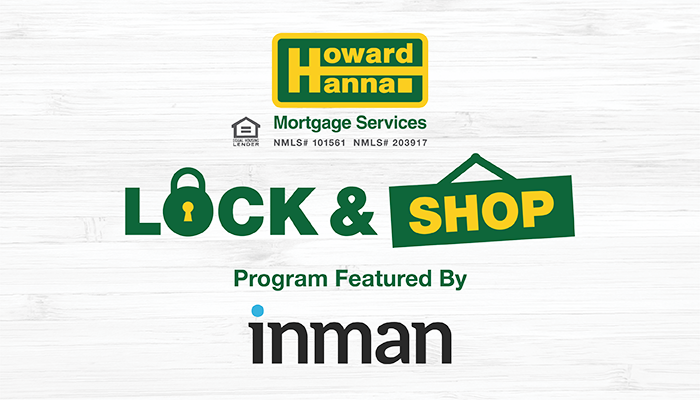 (January 18, 2019) – Inman News, the award-winning and leading real estate news source, released an article on Friday highlighting the Howard Hanna Mortgage Services Lock & Shop program and the value it brings to the real estate industry. With our Lock & Shop program, potential homebuyers can take advantage of the currently low mortgage loan interest rates while still shopping for a new home. Typically, buyers must have a contract already in place before they can lock in an interest rate. But with the Lock & Shop program, buyers can get rate protection for up to 75 days. Homebuyers have 30 days* to find a home and execute a sales agreement and then use the remaining term of the rate lock period to close on their property. “However, even with restrictions, the program stands in stark contrast to the way most loans work, which typically require a borrower to have a contract already in place before they can lock an interest rate,” the Inman News article states. NMLS: 101561 & 203917. Howard Hanna Real Estate Services is not a mortgage lender. Contact Howard Hanna Mortgage Services for mortgage products and eligibility. Offer of credit is subject to credit approval. Howard Hanna Mortgage Services is licensed by: The Pennsylvania Department of Banking and Securities; The Ohio Department of Commerce, Division of Financial Institutions; The Michigan Department of Licensing and Regulatory Affairs, Office of Financial and Insurance Regulation. Contact a Howard Hanna Mortgage Loan Originator for full details. PA (800) 474-4437, 1000 Gamma Drive, Pittsburgh, PA 15238. OH and MI (800) 589-1118, 6000 Parkland Blvd., Mayfield Heights, OH 44124. mortgage@howardhanna.com.